Friends on Baith Sides is an intergenerational outreach project. We are seeking to teach people new skills and make new connections to the museum through a series of creative workshops. Saturday was our first week and we got off to a flying start by making some beautiful handmade willow baskets. Our teacher, Geoff Forrest, chose a basket for the day’s project as it is an object that may have been familiar and useful in the 18th century when Burns was living in Alloway. We started with a circle of willow that Geoff had already constructed for us. The next step was to add in ‘spines’ using a thick section of willow and then tie it with strands of willow to the circle in a cross stitch. We then simply started weaving the reed between the spines and the circle. It was lovely to see everyone pitching in to help each other with the trickier bits and several people commented on how therapeutic it became once they got the hang of the technique. Feedback on the workshop has been very positive. One person said, ‘Great class, great teacher, great fun. Thank you very much’ while another said ‘what a fabulous day’. We are pleased to offer these workshops free of charge thanks to funding from Austin Hope Pilkington Trust and The Craigie Development Trust. Next Saturday, 10th September, we have a song writing workshop and there are still a few places left if you would like to take part. A photography workshop will take place on 17th September as well. Contact 01292 430 316 if you would like to book a place. This entry was posted in crafts, Events, Friends on Baith Sides, Uncategorized and tagged community project, crafts, Friends on Baith Sides, Outreach, Robert Burns, Robert Burns Birthplace Museum, willow weaving. Ayrshire Gifts an’ a’ That ! 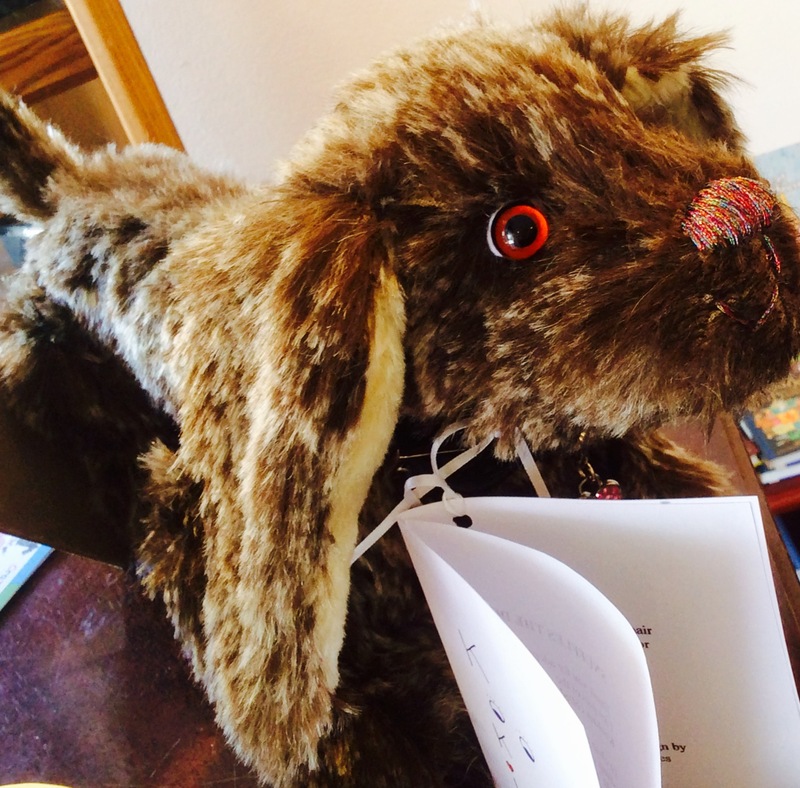 For this blog I thought I would look at the Ayrshire Gifts an’ a’ That shop that is run by some of the Robert Burns Birthplace Museum’s volunteers. Ayr has recently been named one of the healthiest high streets in Britain, through a piece of research conducted by the Royal Society for Public Health. This is based on the proportion of businesses found in their main retail area that support the public’s health. While Ayrshire Gifts an’ a’ That does’t on the face of it support public health, having spoken to volunteers and spent time in the shop it is clear that their are regulars who enjoy coming in to buy beautiful crafted items and have a wee chat with the volunteers in the shop. The shop has become popular with local residents of Ayr coming to browse and buy unique things. 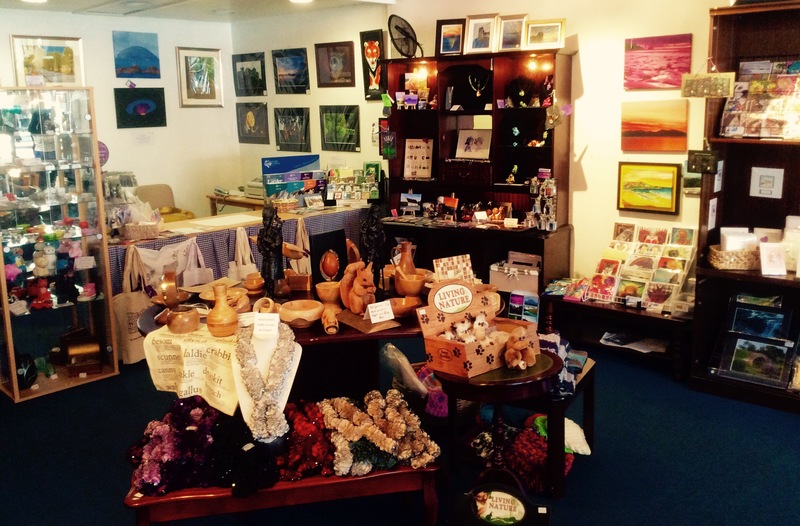 Ayrshire Gifts started as a pop up shop in 2014, it proved very popular for Christmas gifts and has now continued on into 2015. The shop is located in Ayr town centre, opposite the Arran Mall. 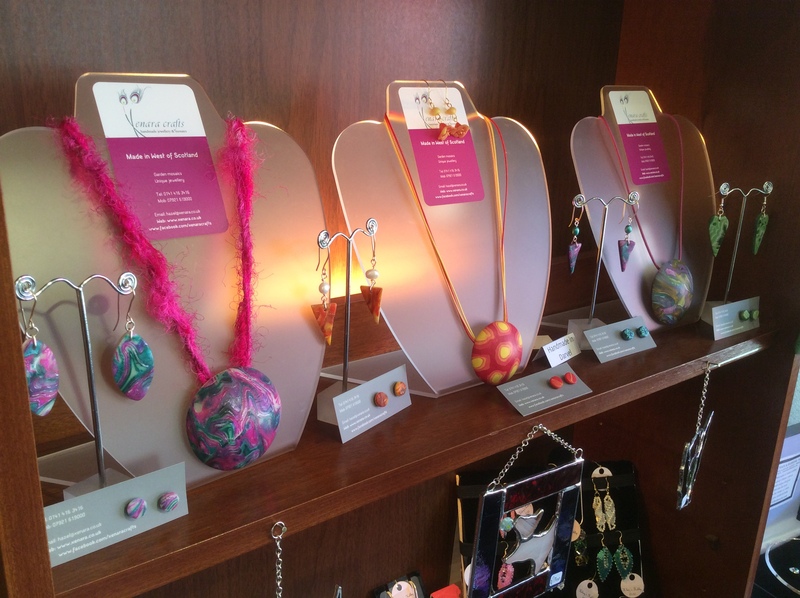 The shop stocks items made by local crafters, these range from handmade wooden ornaments, a wide range a beautiful jewellery, cards, artwork … I could go on! For this blog I thought I would pick out some of my (and a few of our volunteers) shop highlights. Currently the central display in the shop is the Teddy Bears Tea Party, the teddy bears are fully jointed handmade bears. These are made by a company called Logi Bear, with other fully jointed cuddly animals by KooKies. It is hard to resist cuddling them as you walk through the door! 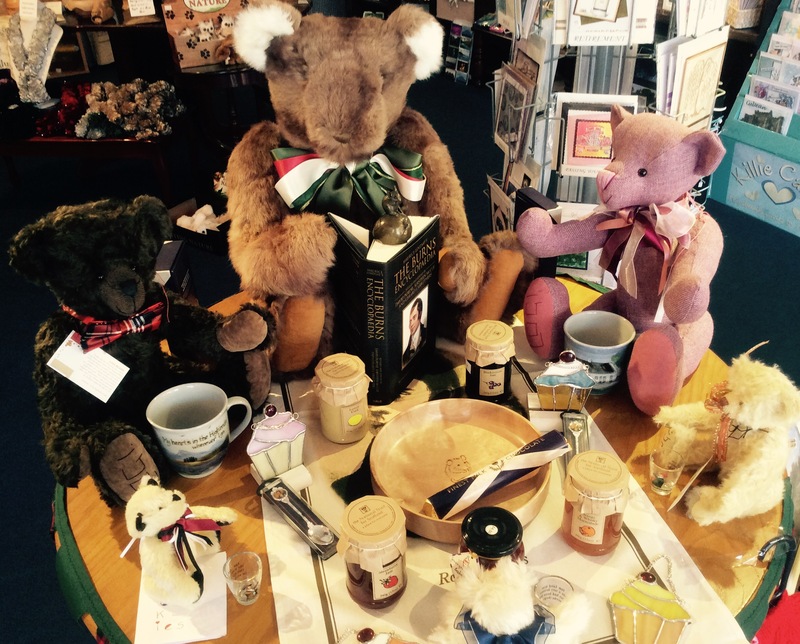 Teddy Bears Tea Party Display – Logi Bear teddies are enjoying some Burns poetry, and some nice jams! 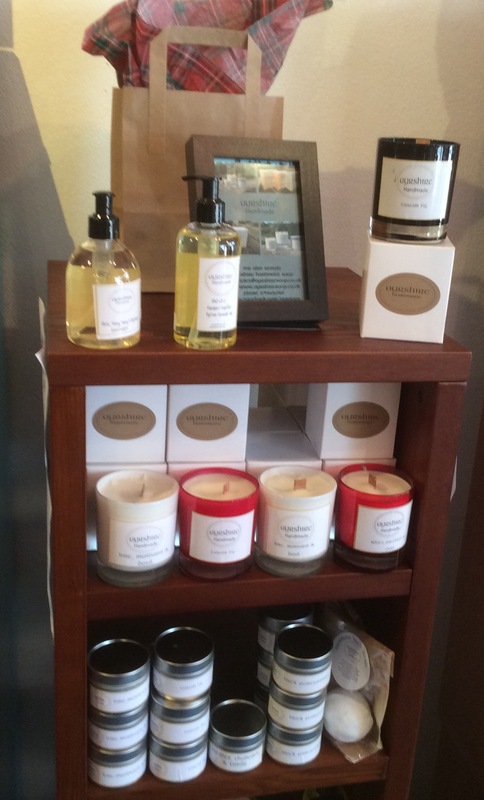 Another favourite is Handmade Ayrshire, with regular customers coming in to buy their candles which prove popular. They are beautifully packaged and make great gifts… or just nice to buy for yourself. 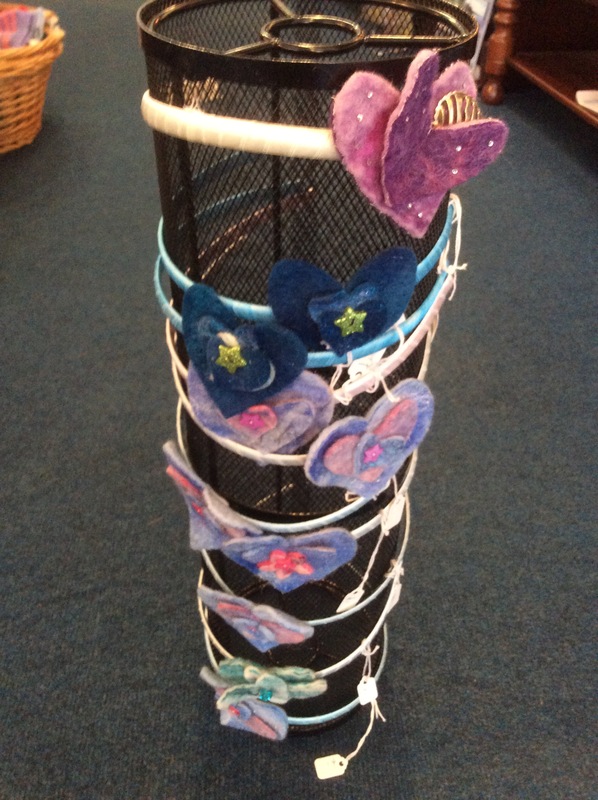 The jewellery, scarfs and headbands in the shop are handmade and unique, it makes nice additions to wedding outfits for adults and children! There is jewellery to suit every taste and style. If you are in Ayr swing by the shop for a good browse! The volunteers are knowledgeable about the stock and are wonderful at helping you pick out just the right gift, especially if you cant pick from the wide range! By Catriona, Learning and Volunteer Intern, RBBM. This entry was posted in Volunteers and tagged Ayr, crafts, gifts, highstreet, jewellery, local, pop up shops, Robert Burns, teddy, unique, volunteering, volunteers. The week before last, we at Robert Burns Birthplace Museum got into the romantic spirit by hosting a ‘Week of Luve’ in honour of Valentine’s Day. Our Bard is known to have written the occasional love poem, including those little known works ‘My Luve is like a Red, Red, Rose’ and ‘Ae Fond Kiss’, and we thought it would only be fitting to tap into the Valentine’s mood ourselves! After a diligent Friday of decorating the museum foyer with heart shaped balloons and cards, the week began on Saturday 8th, with children’s craft activities at the museum. The opportunity to make pop-up Valentine’s Day cards and ‘Luve bugs’ with heartfelt messages inside appealed to many and we were soon running out of felt and sticky letters. Alongside this, our luve jewellery market was in full swing, and we set up several stalls of very colourful items for our visitors to browse through. On Sunday, our jewellery market was replaced by a chocolate one, and many treats and goodies were available for sale. We were also selling roses and other plants all weekend to round off the romantic feel. Throughout the week, we held several luve themed talks and concerts in the lead up to Valentine’s Day. On Monday, we welcomed Linda Somerville to the museum, performing a selection of classical and Scottish luve songs, and on Thursday local Ayrshire singer Roger Paterson treated us all to a session of ‘Live Luve Music’ in the museum cafe. Our curator Rebecca held an in depth talk at the museum on Tuesday exploring Burns’s manuscripts and luve letters, and at our weekly Highlight Talk on Wednesday afternoon, our volunteer co-ordinator Alison Wilson gave a detailed discussion of one of Burns’s most romantic poems ‘My Luve is like a Red, Red, Rose’. All in all, by the time the big day arrived we were already feeling very luved up! On the 14th itself, our wonderful volunteers held a ‘Red Red Rose’ plant sale at the museum selling plants, along with scrolls of Burns’s famous poem, which went like hot cakes throughout the day. No doubt all those last minute Valentine’s shoppers were out in force! And that rounded our Week of Luve off nicely. We would like to say a massive thank you to all of our staff and volunteers who worked hard to make each event a success, and to you for joining in! We hope you enjoyed Valentine’s Day as much as we did! This entry was posted in Events and tagged chocolate, crafts, jewellery, Linda Somerville, luve, manuscripts, My Luve is like a Red Red Rose, Roger Paterson, romantic, Valentine's Day, Week of luve.